Prestonwood Christian Academy’s Instrumental Music program continues to grow each year. With a Beginning Band class of around 60 students each year feeding into the upper levels, there is great excitement about what the future holds. 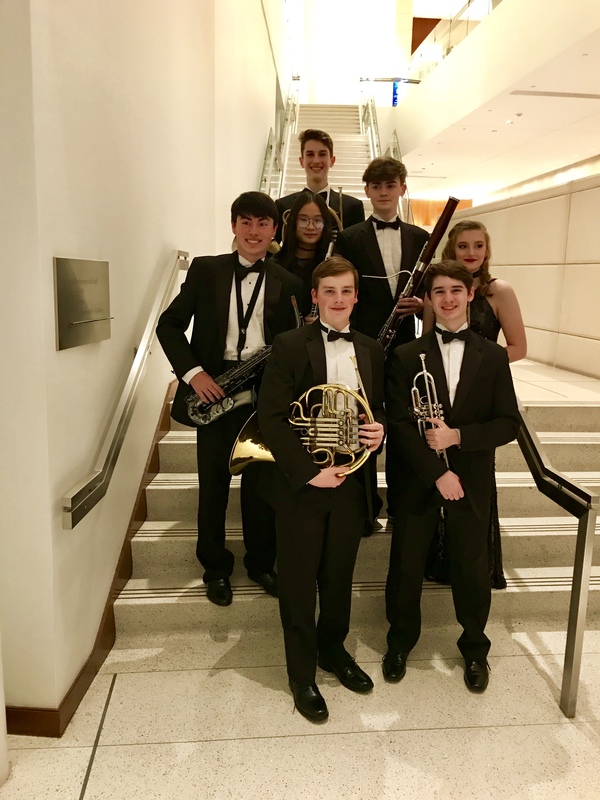 The PCA band has a strong presence in the Prestonwood community, playing at many events both on and off campus, and leading the charge at many of our athletic events. Read more about our programs below! PCA’s instrumental music program begins in Sixth Grade, as students are given their first opportunity to pick up an instrument and be a part of Beginning Band. Students learn the basics of instrumental technique, learning how to assemble their instrument, posture, embouchure and more. Beginning Band performs in two concerts throughout the year. Middle School Band is comprised of Seventh and Eighth Grade students. At this level, they continue their study as repertoire increases in difficulty, with major emphasis on musicianship. They perform in at least two concerts throughout the year, as well as being invited to play at selected football games and traveling to a music festival for competition. As students transition to Upper School Band, musicianship becomes the primary focus as the repertoire continues to increase in difficulty. Marching is introduced as a part of the curriculum, as well as participation during Friday night football games. 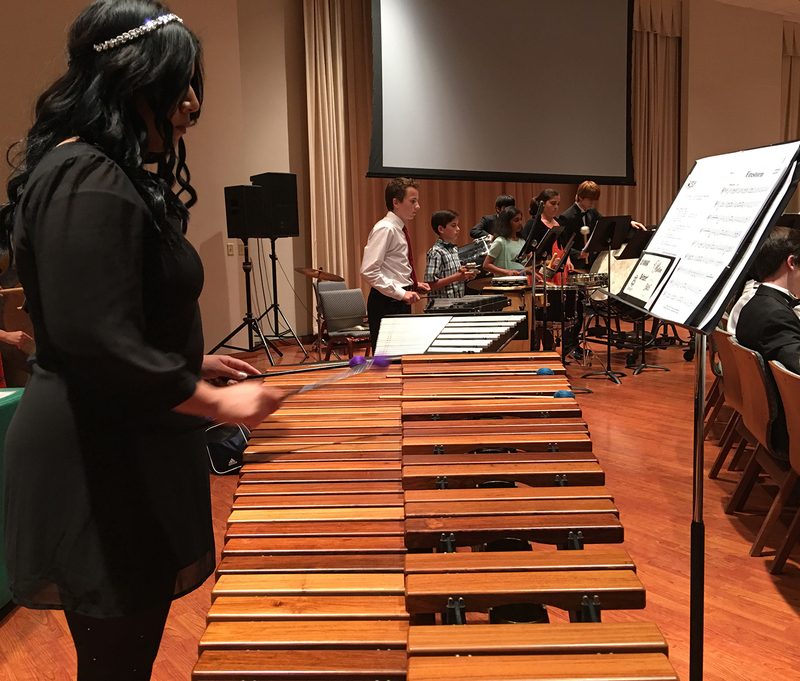 There are numerous performance opportunities throughout the year in concert and festival settings, as well as field trips, pep rallies, and games. Upper level students are encouraged each year to audition for All-State band. Recent years have seen great success at All-State with students achieving first and second chair placements. P.R.I.D.E. Stands for Perseverance, Respect, Integrity, Desire and Excellence! It is also a family of Lions. These are the attributes that we instill in our band members. This is the top-performing Band at PCA. Students receive ½ credit of Fine Arts and ½ credit of Physical Education for this class. Students have the opportunity to continue their instrumental development at the most advanced levels. Practice at home is required. In the Fall Semester, this ensemble is a Marching Band serving as a spirit group for and supporter of the PCA Varsity Football Team. It provides members with the opportunity to fine-tune motor skills and develop their instrumental abilities through the performance of marching Band drill. In addition to half-time performances at all Varsity Football games, the Band performs at TPSMEA State Marching Contest, pep rallies, parades and other special events. Attendance at all after-school rehearsals and performances is mandatory. PCA's String Ensemble is offered to Upper School students who already play a stringed instrument and are looking for an ensemble opportunity. This course is offered on an "as-needed" basis. Eddie Jiménez, Trumpeter, Composer and Educator, is a graduate of Manhattan School of Music where he received a Masters Degree in Orchestral Trumpet Performance and was awarded The Cecil Collins Award for Excellence in Brass Performance. Jiménez also received a Bachelor's degree in Instrumental Performance and Composition from the University of Miami, where he was awarded Most Outstanding Music Student. Jiménez is a busy and versatile free-lance trumpeter frequently performing with The Plano Symphony, Irving Symphony, Allen Philharmonic, Imperial Brass, The Lone Star Wind Orchestra, The Dallas Wind Symphony and multiple Brass Ensembles and Quintets. Jimenez is a former member of The Blue Devils Drum and Bugle Corp. and is currently a member of The Blue Devils Hall of Fame. Jiménez often performs with some of the country’s greatest instrumentalists and singers and is often a featured soloist. Influenced as a child by the classical music his grandfather played every afternoon on his old 1950’s radio, the desire to make music has led Jiménez on a very exciting journey. This journey includes performances in some of the world’s most prestigious concert halls such as Carnegie Hall and Lincoln Center. Jiménez has toured Europe and North America on various occasions with various musical ensembles. He often performs with various Grammy Nominated and Grammy Award winning musicians. On multiple occasions Jiménez has performed for a former President of the United States. A native of Havana, Cuba, Eddie Jiménez joined the PCA family in 2017 as the Middle School Band Director. He and his wife, Kristin, live in Carrollton with their son and are members of Prestonwood Baptist Church in Plano where he is active in the church orchestra. Kristin serves as the Children's Music Director and sings in the choir on Sunday mornings. Jiménez began teaching music at the age of 18 and received coaching from many great educators, including world renown cellist Yo-Yo Ma. 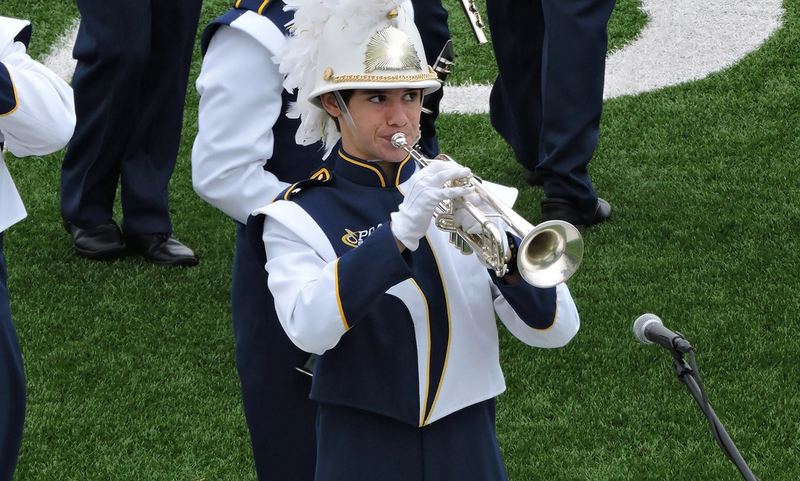 The PCA band is such an important part of the culture at PCA – from pep rallies to formal concerts and festivals to Friday night football – the band is an integral part of the fabric of our school. These kids spend so much time together, it’s really more like an extended family – a home away from home. Our students grow musically, physically, spiritually together and find a true sense of belonging and community in the band.